This project seeks to identify opportunities for Youth UpRising (YU) to support and collaborate with the OUSD in developing a new career academy at Castlemont High School. 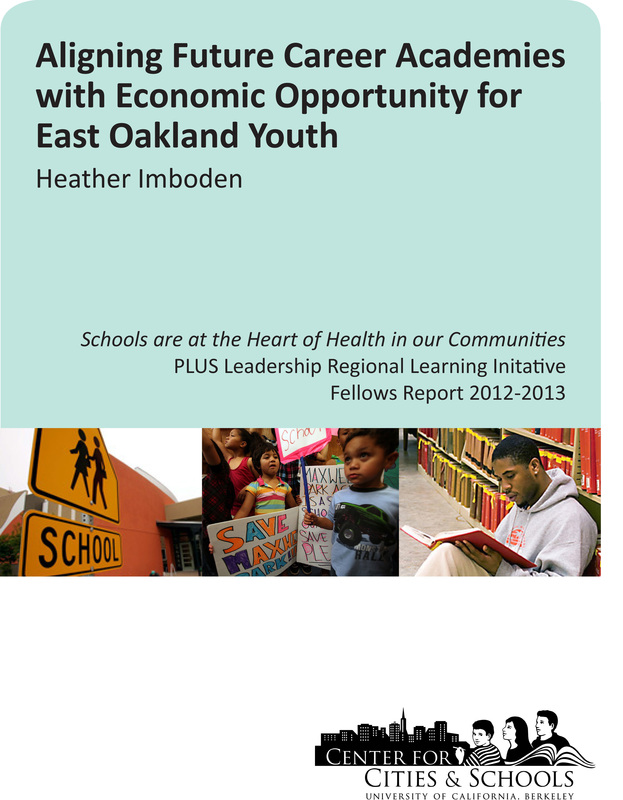 This paper analyzes potential career academies against the current economic and educational landscape of the East Bay and provides tools for YU and OUSD to work together in the develoopment of a career academy at Castlemont High School. On December 6, 2012, UC Berkeley's Center for Cities & Schools, in collaboration with the California Department of Education, California Department of Public Health, Governor's Office of Planning and Research, Strategic Growth Council, and Health in All Policies Task Force, brought together leaders from across California to discuss the alignment of important policy agendas: ensuring high-quality, opportunity-rich schools in healthy, sustainable communities. 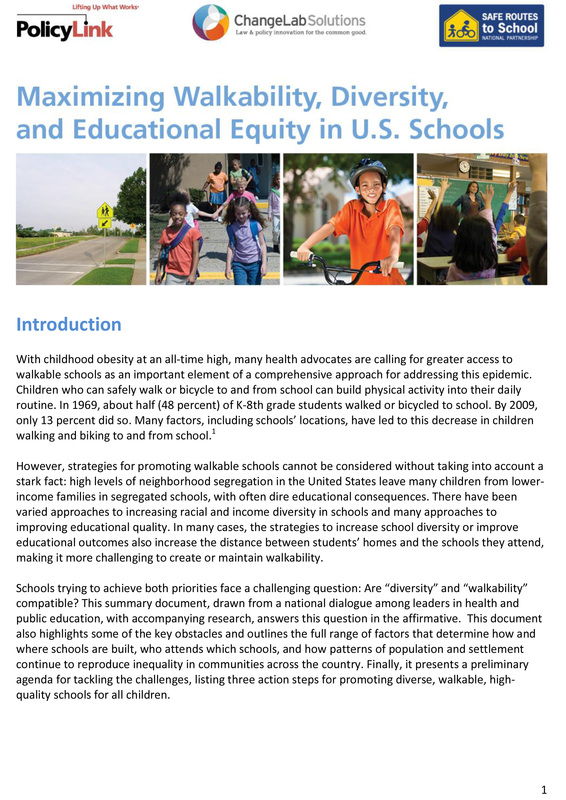 This brief highlights key themes from the conversation and outlines next steps identified by participants. 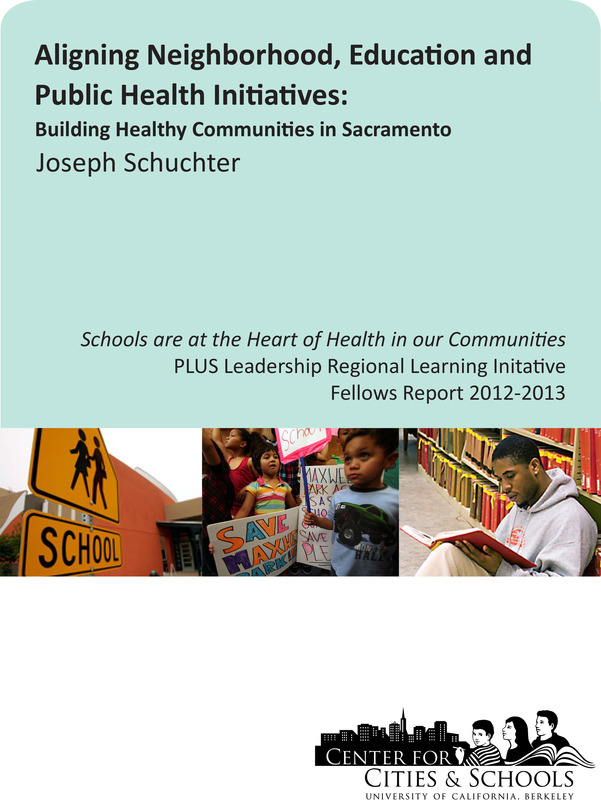 The purpose of this report is to analyze and identify shared visions and goals between ABAG and educators, and develop recommendations for aligning programs and policies to reach such goals. In partnership with the SFUSD, this research project utilizes official documents and key stakeholder interviews ot create landscape analysis that attempts to address the following question: What community development initiatives will support and improve the educational attainment of pre-k to 12th grade youth attending SFUSD schools located in the Bayview neighborhood and what connections between these initiatives can SFUSD leverage so that resources support district policies?